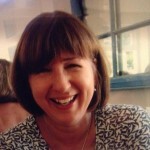 Jane is an independent psychotherapist and trainer who has been working in private practice since 1996. Jane is commissioned by statutory and voluntary agencies as well as by private individuals to assess and work therapeutically with those affected by trauma and attachment issues. This involves working with birth, foster and adoptive families as well as training and supporting education and social care staff.